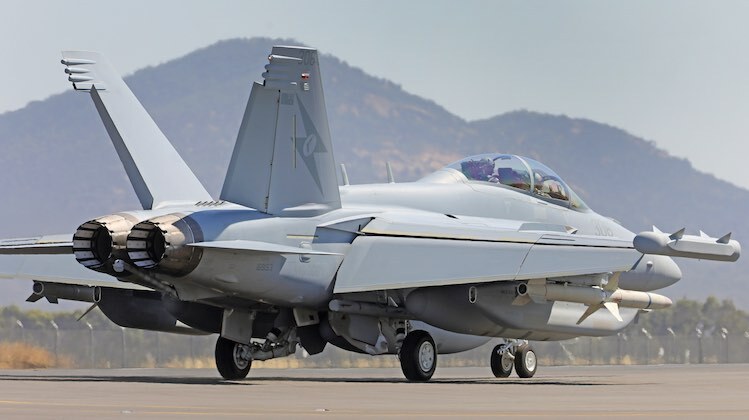 The Royal Australian Air Force’s new Boeing EA-18G Growler airborne electronic attack aircraft have arrived at the Avalon Airshow on their public debut. The aircraft flew in for their appearance at the airshow having recently been ferried to Australia from Naval Air Station Whidbey Island in the US. 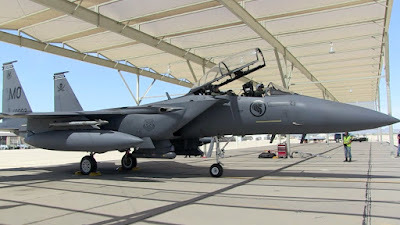 “This is a beast; it was built to be a war aircraft and that is exactly what we plan to use it for,” said Chief of Air Force Air Marshal Leo Davies, welcoming the arrival of Australia’s first electronic warfare aircraft on Tuesday. 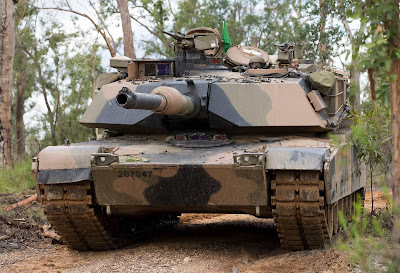 Meanwhile, Minister for Defence Senator Marise Payne announced that Australia is set to partner with the US in the development of a next-generation radar and radio jammer for the Growler with an investment of $250 million. 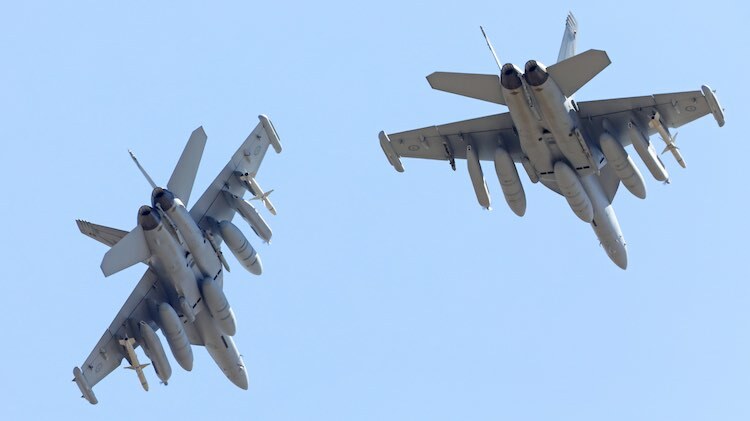 “Electronic warfare is a rapidly evolving area and we want to ensure that these aircraft remain at the technological forefront throughout their service life, so we will work in partnership with the United States Navy to develop that next-generation jamming capability,” Minister Payne said. The Growler is capable of providing force-level electronic warfare support by disrupting, deceiving or denying access to an adversary’s electronic systems, including radars and communications systems. “Integration is the key; it is not just about aeroplanes,” Air Marshal Davies said. By the middle of this year, all 12 aircraft are expected to have arrived at RAAF Base Amberley in Queensland to be operated by 6 Squadron. Australia is the only country besides the US to fly the Growler. Austal (ASX:ASB) is pleased to advise that the Detailed Design Review (DDR) for the A$306 million Pacific Patrol Boat Replacement (PPB-R) Project has been successfully completed on time and in accordance with the contracted schedule. A key element of the Commonwealth’s continuous naval shipbuilding strategy, the PPB-R Project is contributing to the growth of Australia’s sovereign shipbuilding capability in the lead up to the Offshore Patrol Vessel and Future Frigate programs for the Royal Australian Navy, due to commence in 2018 and 2020, respectively. 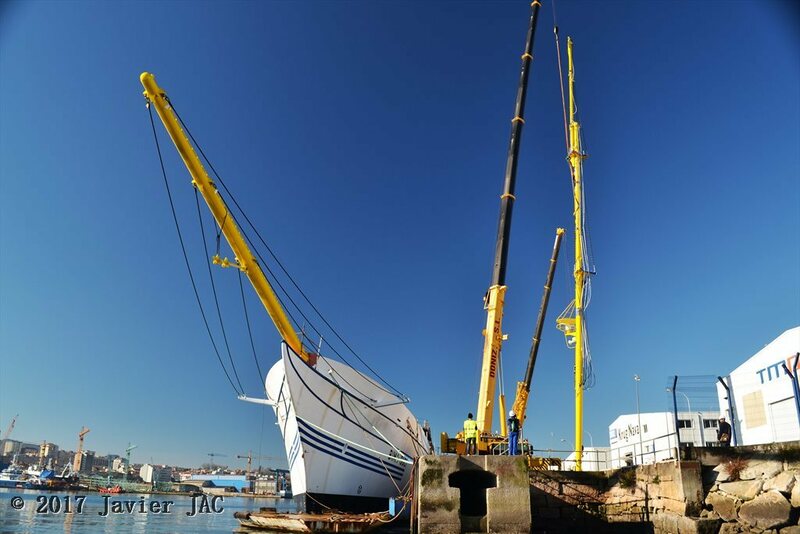 The completion of the DDR, on time, formally signifies the end of the design phase and the commencement of the production phase of the nineteen steel vessel program, awarded to Austal in May 2016. DDR is a key, mandated milestone in the Commonwealth’s ASDEFCON contracting process and the PPB-R detailed design confirmation, on 10th February 2017, which will enable the product baseline to be established. 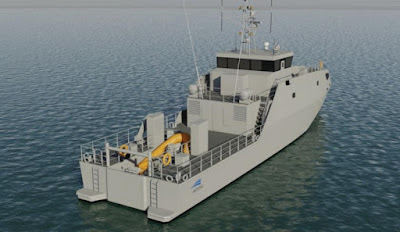 The PPB-R Project comprises the design, construction, delivery, training and sustainment of nineteen 40 metre patrol boats - to be gifted by the Commonwealth of Australia - to twelve Pacific Island nations as part of Australia’s new Pacific Maritime Security Program. 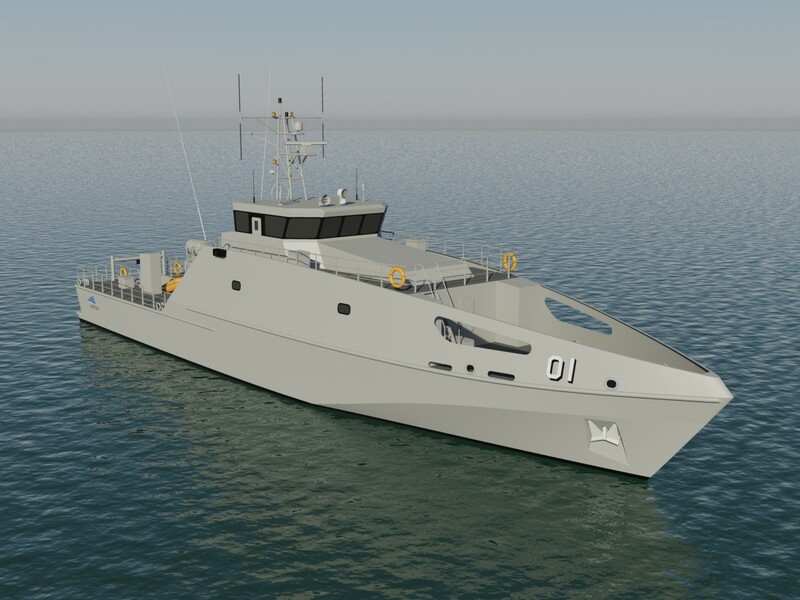 Austal is positioned to play a key role in the delivery of the Commonwealth’s continuous naval shipbuilding strategy, as the only ASX-listed Australian shipbuilder and Defence prime contractor currently delivering multiple naval vessel programs for Australian and overseas customers, including the Royal Australian Navy and US Navy. Pair of Gepard 3.9 warship (3rd and 4th) are likely to be equipped with two torpedo launchers arranged along the hull. 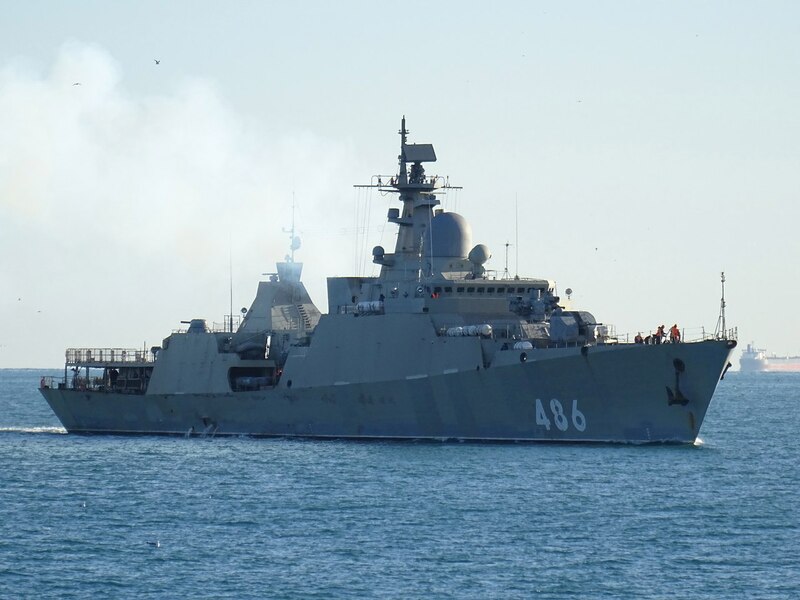 Recently, photographer Evgeniy (Russia) has posted the latest photos in the Shipspotting online warship 3rd Gepard 3.9 for Vietnam People's Navy is the Novorossiysk port after the sea trials 02/17/2017 on the Black Sea. Warship 3rd Gepard 3.9 plant as number "486" has completed the entire superstructure including the installation of weapon. 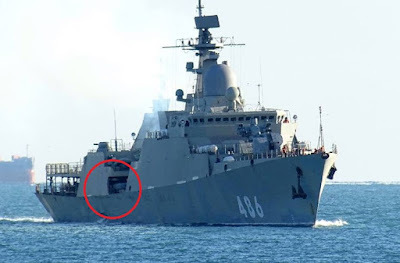 At the corner of this photo can be seen at the location between the hull seems torpedo launchers (red mark) - anti-submarine weapons aboard Project 11661E Gepard 3.9 frigates of the Vietnam. Earlier, Russian media said that new pair of ships Vietnam Gepard 3.9 is equipped with sonar and submarine weapons but did not specify type. Gepard 3.9 ships 3rd frigates (plant number 486) was launched 27/04/2016 day, and the 4th (plant number 487) dated 26.05.2016 launched at Zelenodolsk plant named AMGorky . 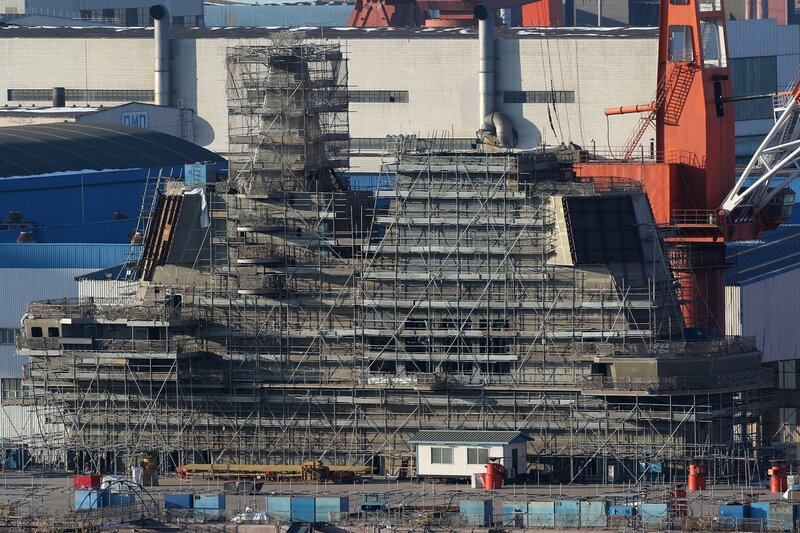 It is expected that the technical handover pair vessel for Vietnam People's Navy will take place in the middle of this year. 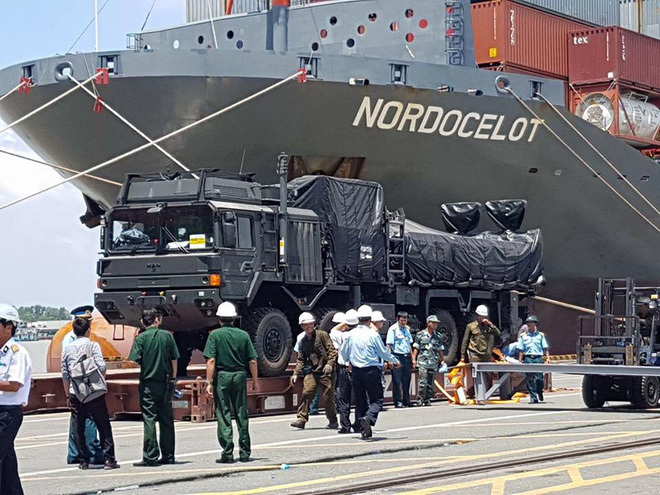 According to the notification of the plant, pair Gepard 3.9 Project 11661E ships are larger than pairs of vessels 011 Dinh Tien Hoang and 012 Ly Thai To, country specific stretch of about 2,200 tons full load, 102,4m long, wide 14,4m. 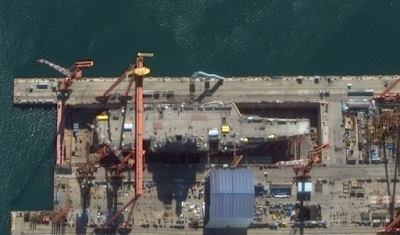 The expansion of the size compared to 2 old ship might be to integrate surveillance system and anti-submarine weapons. Regarding the number of crew, while two old ships to more than 100 operators, the two new vessels will just 84 people. This suggests that, Gepard 3.9 improvements will be enhanced automation allows reducing the number of sailors despite larger size vessels. Also, Gepard 3.9 enhancements will equip new momentum system that allows ships to reach a maximum speed of 29 knots/h (higher than 28 knots/h 2 old Gepard vessels). 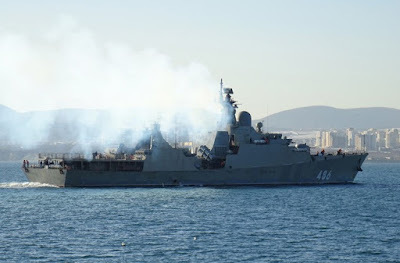 In addition to anti-submarine weapons additional vessel Gepard 3.9 frigates are still armed with naval guns AK-176M, anti-aircraft guns AK-630, artillery guns combinations - anti-aircraft missile Palma-SU and anti-ship cruise missile Kh-35 Uran-E and radar systems, resulting in similar pair shot the previous vessel. According to the documents, which were in the online, Myanmar is planning to organize the licensed production of the new Ukrainian armored personnel carriers BTR-4. This is the writing of Russian military expert Diana Mikhailova. According to her words, the state company "Ukrspetsexport" supplies to Myanmar set of equipment for the production of welded shells for light armored vehicles BTR-type 4U and 2S1U. 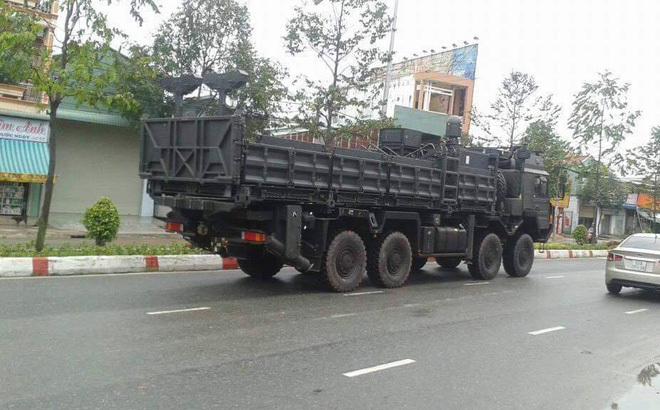 Apparently, the planned organization of production in Myanmar BTR-4. 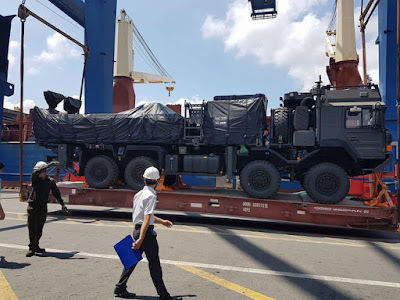 Designation 2S1U previously had the option of upgrading the 122-mm self-propelled howitzers 2S1, however, in this case, it may have in mind the assembly organization in Myanmar tracked vehicles based on the chassis and hulls 2S1. 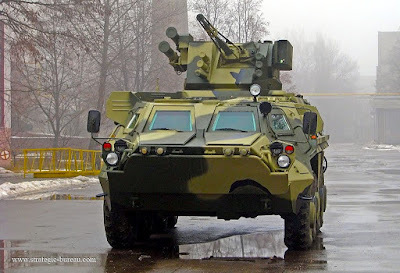 According to the contract № USE-16.1-27-K / KE-14, concluded in 2014, the Ukrainian has received a set of equipment for the production of welded shells for light armored vehicles BTR-4U and 2S1U. In particular, the complete sheet was loaded 15-ton assembly and welding stand for BTR-4U TO53.1329-270, assembly and test configuration housing a total cost of $ 44,301,966. It is previously known in 2003-2006. assembly kits for 92 BTR-3E has been supplied to Myanmar. General Dynamics Land Systems Inc., Sterling Heights, Michigan, was awarded a $13,144,278 cost-plus-fixed-fee, foreign military sales contract (Kuwait, Australia, and Saudi Arabia) for systems technical support and sustainment system technical support for the Abrams family of vehicles and derivative systems. Bids were solicited via the Internet with one received. Work will be performed in Sterling Heights, Michigan; Germany; Killeen, Texas; Korea; Kuwait; and Poland, with an estimated completion date of Feb. 28, 2018. Fiscal 2010, 2011, and 2017 operations and maintenance (Army); research, development, test and evaluation; and other funds in the combined amount of $13,144,278 were obligated at the time of the award. Army Contracting Command, Warren, Michigan, is the contracting activity (W56HZV-17-C-0067). 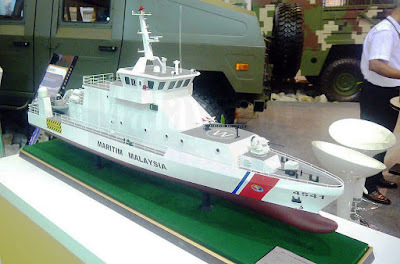 KUCHING: The Malaysian Maritime Enforcement Agency (MMEA) is building six large vessels in an effort to improve its maritime security supervision and monitoring of the country’s waters. MMEA director-general Datuk Seri Ahmad Puzi Ab Kahar said two of the vessels would be deployed in the waters of Sarawak and Sabah and the remaining in the waters of Peninsular Malaysia to cover areas where the country shared its maritime borders with Indonesia, Vietnam, Thailand and Singapore. “The safety of the country’s waters is always MMEA’s priority given the fact that the water passage is used as the main route for trading activities (exports and imports) between Malaysia and other countries,” he told the media after launching the Sarawak MMEA Volunteer team here, yesterday. 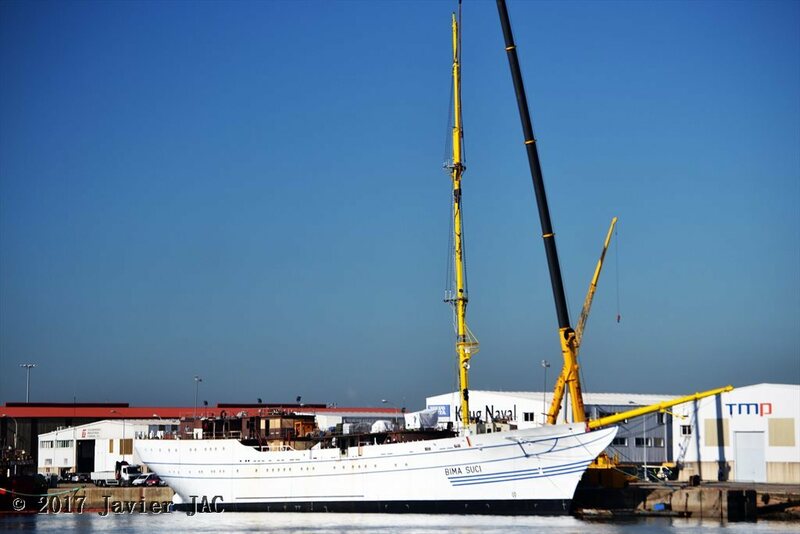 He said first vessel would be launched in March and would participate in the upcoming Langkawi International Maritime and Aerospace (LIMA 2017) exhibition in Langkawi on March 21-25, while the second vessel was scheduled to be launched in May. “I am optimistic that with the new vessels MMEA will be able to monitor the country waters efficiently,” he said. 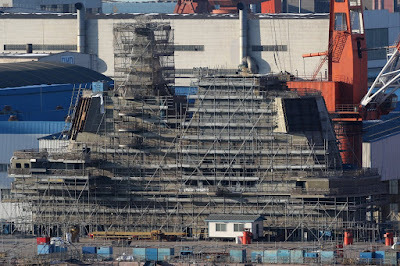 The vessels, according to Ahmad Puzi, would be equipped with modern and sophisticated technology ,including the unmanned aerial vehicle (UAV) system that could get more information from the radar way above what the ordinary ships were capable of doing. In addition to the six large vessels, Ahmad Puzi said the agency would also receive two 90-metre vessels from the Japanese Government next month. 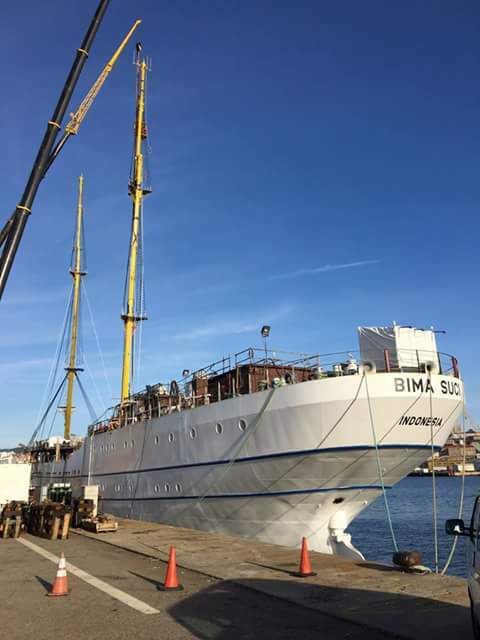 According to Ahmad Puzi, the two vessels was the Japanese government’s gifts for MMEA in keeping the waters safe which was also the gateway for Japanese vessels in their import and export activities. “In fact, we also received same gifts from other countries such as Canada, which accounts for two speedboats, and Australia also contributed two vessels and five speedboats to MMEA,” he added. The second prototype is similarly configured to the model that was displayed at China's Zhuhai Airshow last November. It features some common design elements to the Chengdu J-20 stealth fighter, such as cropped vertical stabilizers. It also has an Electro Optic Targeting Sight (EOTS) under the nose. In an interview on Chinese television, military analyst Chen Hu said that it is not surprising to see elements of the J-20 on the FC-31, since both jets are being developed by the state-owned Aviation Industry Corporation of China (AIVC). A new scale model of the FC-31 on display in the Shenyang Aviation Museum carries Chinese naval insignia, further hinting at a planned carrier capability for the aircraft. The museum is owned by the Shenyang Aircraft Corporation. Like most carrier-borne aircraft, the FC-31 has a twin nose gear, and it was recently reported that the third Chinese aircraft carrier would be fitted with three steam catapults. Chen also noted that the smaller and lighter footprint of the FC-31 gives it an advantage on a carrier’s limited deck space. Moreover, Shenyang would have an advantage over other Chinese aerospace companies, because of its experience in adapting the Su-27 for Chinese naval use as the J-15. Specifications revealed at the Zhuhai Airshow suggest that the length of the Gryfalcon has increased from 16.8 meters to 17.5 meters. The maximum takeoff weight has increased by three tonnes to 28 tonnes. 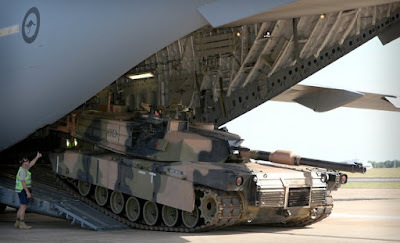 In addition, the wheel wells of the second prototype are significantly smaller, allowing for a larger internal weapons bay, capable of accommodating up to 8 tonnes of armaments. The aircraft was originally powered by the Russian-supplied Klimov R-93 turbofans, but Chinese analysts have noted that the latest test flight did not produce the thick exhaust smoke seen in earlier flights. This suggests that the second FC-31 has new powerplants. 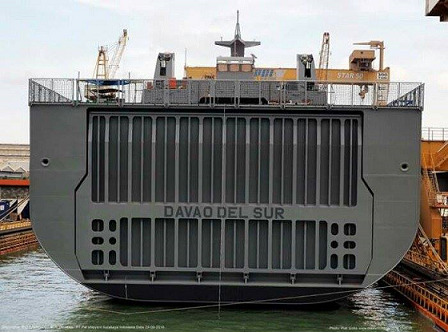 MANILA (PNA) -- The country's second strategic sealift vessel (SSV), tentatively known as the BRP Davao Del Sur (LD-602), is almost completed and will start dock and sea trials by March. Galangan kapal di Vigo Spanyol, Construcciones Navales Paulino Freire (Freire Shipyard) mencapai kemajuan dalam pemasangan peralatan kapal latih baru untuk Angkatan Laut Indonesia, yaitu Bima Suci, panjang 110 meter dengan lebar 12,6 meter. Secara teknis, pada akhir pekan kapal telah terpasang tiang utamanya dengan bantuan derek besar. Ketika kapal selesai, Bima Suci dapat membentangkan layar seluas 3.350 meter persegi yang tersusun pada barque (terdiri dari tiga tiang layar). Pengiriman kapal dijadwalkan pada musim panas mendatang. Perahu layar, yang dinamai tokoh mitologi dari Indonesia, akan dipasang patung di anjungan, karya pematung dari Galicia, José Molares..
Kapal ini akan berfungsi sebagai platform pelatihan angkatan laut yang dapat menampung 200 orang di dalamnya, termasuk 120 taruna dalam pelatihan untuk Angkatan Laut Indonesia. 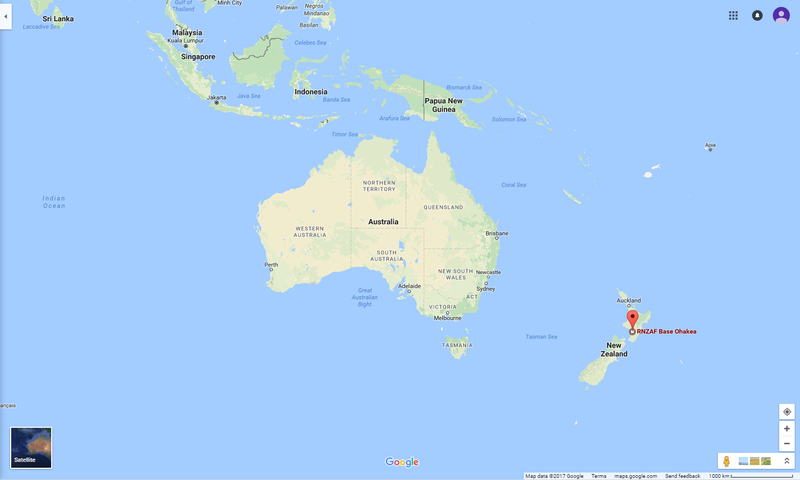 Singapore is eying Ohakea air base in Manawatu as a potential base for one of its own Air Force squadrons of F15 fighter jets. 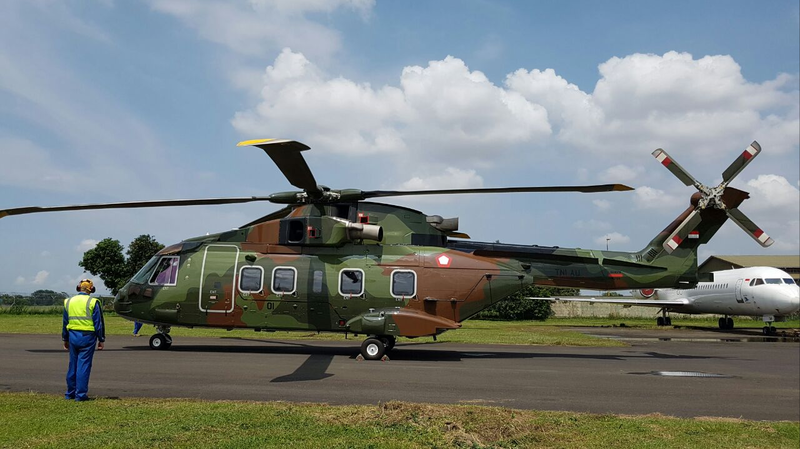 BANDUNG, KOMPAS -- Polemik pembelian helikopter Agusta Westland 101 diharapkan tak membuat pemerintah membatalkan kontrak pembelian 16 helikopter EC 725 Cougar buatan PT Dirgantara Indonesia. Pembatalan akan merugikan dan mencoreng nama baik PT DI di dunia industri penerbangan internasional. "Jangan sampai karena polemik AW101 ini mengganggu proses bisnis PT DI. PT DI sudah belanja untuk produksi hingga pemeliharaan, jangan sampai dibuat rugi," kata Ketua Pelaksana KKIP Laksamana (Purn) Sumardjono. 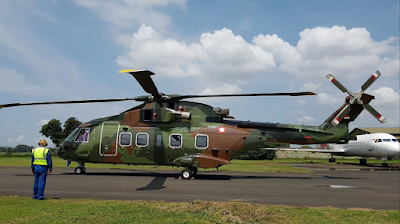 Sumardjono berpendapat, heli EC 725 Cougar buatan PT DI sebenarnya punya kemampuan setara dengan AgustaWesland 101 (AW 101). Dengan demikian, apabila spesifikasi di antara kedua heli itu tidak terlalu jauh, sebaiknya TNI AU tidak membeli AW 101. "Kita perlu mendukung dan mengembangkan industri pertahanan dalam negeri," ujar Sumardjono. "Selain itu, untuk kedap suara di dalam kabin, Cougar relatif lebih bagus," lanjut Robiawan. In 2016, 377 Division 377 has successfully completed the training, live firing and acceptance, receiving missile deployment Spyder, according to Colonel Vu Jade Emperor, the Deputy Political Commissar of the Division. The information was confirmed in the article "A number of measures to strengthen the discipline in the Air Defense Division 377" of Colonel Vu Jade Emperor, the Deputy Political Commissar of 377 Division published in national defense 2/2017 of January. So this is the first time a military unit official information about the consortium received the first Spyder missiles under the contract signed with the Israeli side. Earlier, Lieutenant General Le Huy Bay - Commander of the Air PK-KQ also confirmed that Vietnam has ordered missile Spyder. According to data in the report "Transforming the world of weapons" by the Institute for the Stockholm International Peace published recently, Vietnam has ordered 5 antiaircraft missile complexes Spyder-MR midrange under a contract signed 2015 and as of the moment they are the only one combination is transferred to Vietnam. Spyder missile air defense weapon is the new generation, very modern Israeli fabrication and manufacturing. The consortium is designed to cater to the organization of air defense operations by mode center network warfare, warfare in all weather conditions, likely high self-propelled maneuver, fighting escalated quickly and aiming to be multiple targets simultaneously. 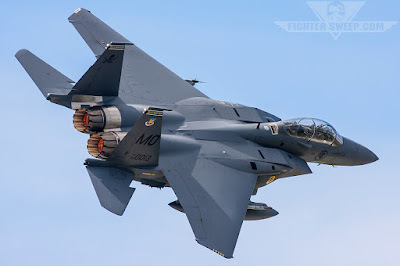 Consortium has the ability to kill the target aircraft types including fighters, helicopters, unmanned aircraft, cruise missiles and munitions have been fired from the other controls in an environment away from institutional pressure powerful electronics. Vietnam the Spyder missile purchase is not merely to replace the missile S-75 Volga (SAM-2) was old but also a major breakthrough on the force, strengthening the firepower to against any threat from the air, catch up with the advanced level of technology of the world. The units, which is equipped? "Training, live firing and acceptance, receiving missile deployment Spyder; host and participate in team combat maneuvers by the missile C125M Air Defence - Air Force held the first prize; the unit participate in live fire exercises were achieving Proficient flak. " Although the article did not elaborate on the training, live firing rockets Spyder acceptance but more likely where the work is being done in your country to fight Israel where the first team of Vietnam for transfer students line type this new generation missile. Maybe each team fighting was practiced in schools reporter 2-3 shot rounds of Israel to evaluate training results and acceptance prior to sealing ammunition, moved onto the ship repatriated. "Complete Excellence" certainly means that kill target right from the first rounds, the traditional right of the opening game defeat PK-KQ Vietnam team. Reportedly, 377 Air Defense Division is tasked with combat readiness, management and protection of the airspace south central and Spratly islands of the country and are now on the payroll of the only Division 1 medium hero of People's Armed forces missile regiment, the Regiment were 274 - Doan Hung Vuong missiles. This is also a very special unit - the only missile regiment of the Air PK-KQ equipped mix of 2 missiles S-75 and S-125 Pechora Volga (SAM-3). Earlier, Division 377 are also equipped with radar complex visual realm ELM-2288ER round of Israel, is acting as gods eye, watching all the static aerial. SPYDER about this, combined with modern radar would be enormous advantages for this duo can connect with each other perfectly, doubly powerful private rooms in South Central region, up an air defense network modern, safety Cam Ranh - conjugate base is especially important before any threats. Thus forces the surface ships, submarines, naval reviews can rest assured the implementation of its key tasks is trained and ready to fight protect and assist island. MANILA, Feb. 23 (PNA) -- The Japan Maritime Self Defense Force (JMSDF) will deliver two of the five leased turbo-prop TC-90 aircraft to the Philippine Navy's (PN) Sangley Point air facility on March 27. This was confirmed by Navy spokesperson Capt. Lued Lincuna in an interview Thursday. 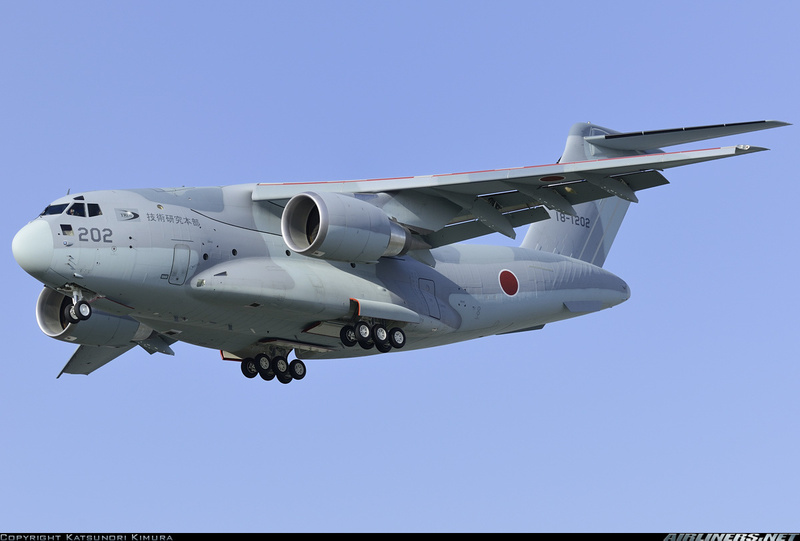 The aircraft will be delivered to the country by JMSDF pilots and will be formally transferred to the Navy on the same day. 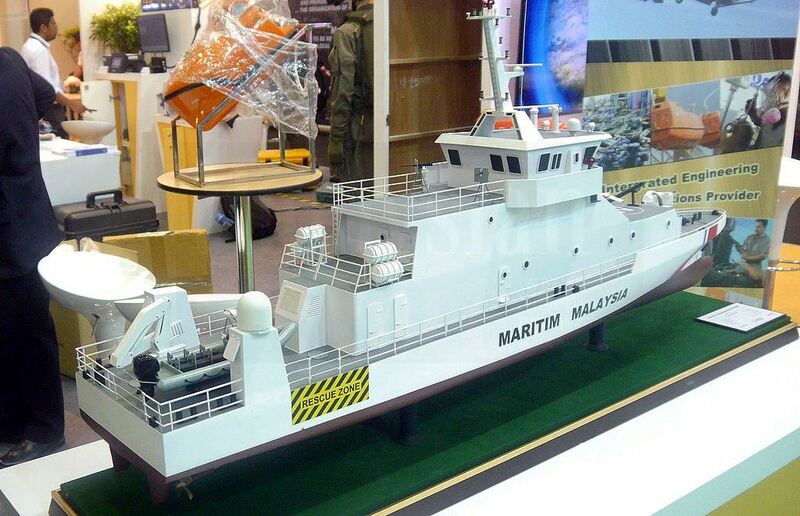 Lincuna said the remaining three TC-90s will be transferred to the Navy before the end of the year. He added that the TC-90s will be used to augment the existing Norman-Britten BN-2 Islander fleet, which the Navy uses in patrol, surveillance and humanitarian assistance and disaster relief (HADR) and rapid assessment missions. The country will pay Japan USD7,000 each for the first four aircraft yearly and only USD200 for the fifth, for total of USD28,200 as stipulated in its lease agreement. 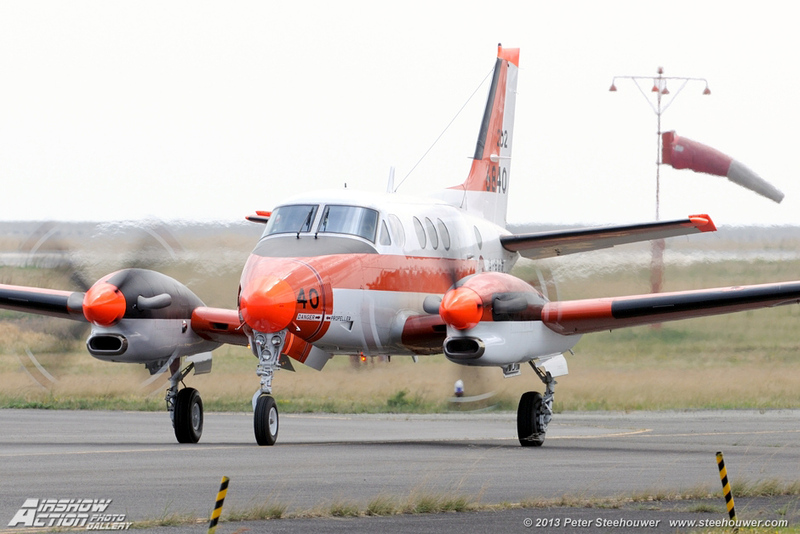 The TC-90's patrol range is double that of a small Philippine aircraft, which only has a maximum range of 300 km. Magetan (Antara Jatim) - Pangkalan Udara (Lanud) Iswahjudi Magetan, Jawa Timur, menambah satu penerbang pesawat tempur F-16 yakni Lettu Pnb Fulgentius Dio Prakoso untuk memperkuat pertahanan udara Negara Kesatuan Republik Indonesia (NKRI). "Yang bersangkutan telah lulus Konversi ke-8 di Lanud Iswahjudi Magetan selama setahun. Diharapkan dengan bergabungan Lettu Pnb Dio Prakoso semakin memperkuat pertahanan udara di tubuh TNI AU Lanud Iswahjudi Magetan," ujar Komandan Lanud Iswahjudi Magetan Marsekal Pertama TNI Andyawan MP kepada wartawan, Kamis. 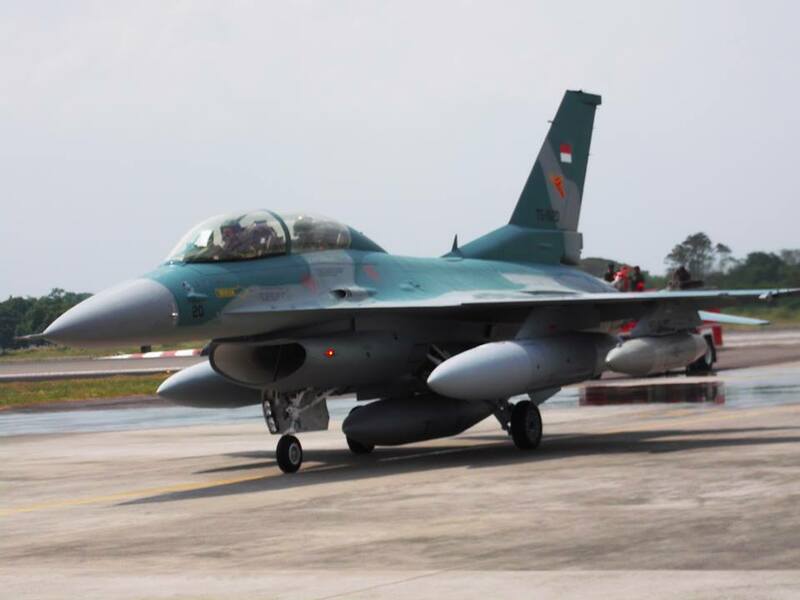 Lima unit pesawat tempur F-16 yang akan datang tersebut merupakan bagian dari program "Peace Bima Sena II" dalam kontrak FMS LOA ID-D-SAL yang dilakukan Pemerintah Indonesia dan Amerika Serikat dengan total pesawat tempur F-16 yang diberikan mencapai 30 unit. General Atomics Aeronautical Systems is set to officially launch an industry team for the AIR 7003 Phase 1 Medium Altitude Long Endurance Unmanned Aerial System project at the Australian International Airshow. 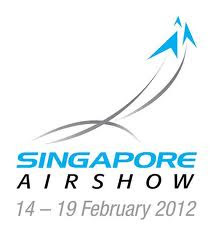 Representatives of Cobham, CAE Australia, Raytheon Australia and Flight Data Systems are scheduled to attend the event on February 28. 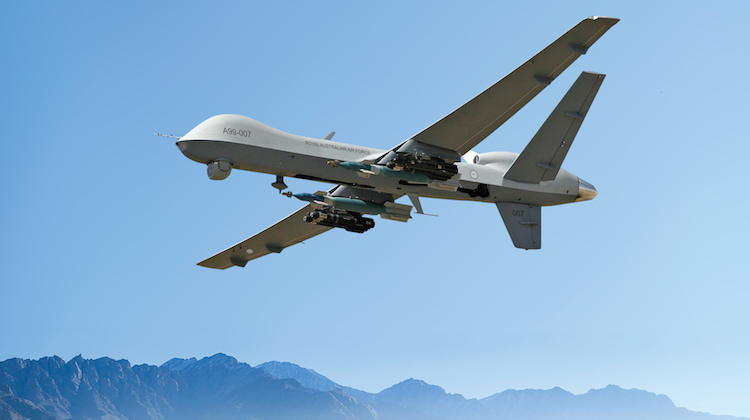 General Atomics will be displaying an MQ-9 Reaper turboprop-powered remotely piloted aircraft, otherwise known as the Predator B, and its Advanced Cockpit Ground Control Station at the Avalon Airshow. The Integrated Investment Program that was published with the 2016 Defence White Paper outlines a plan to acquire an armed unmanned aircraft to provide an integrated and persistent intelligence, surveillance, reconnaissance and attack capability to support the Australian Defence Force and coalition forces. The AIR 7003 project reached ‘gate zero’ in early November. 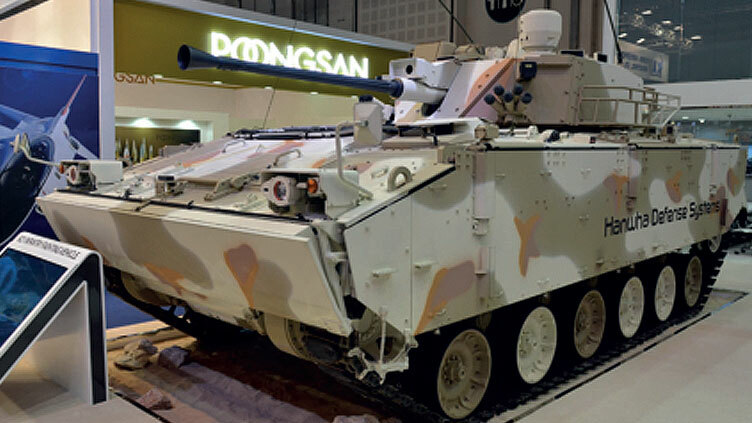 Hanwha Defense Systems (Stand 12-C35) of the Republic of Korea (ROK) has brought its latest production K21 infantry fighting vehicle (IFV) to IDEX in an effort to win a first export contract for it. It has been developed to meet the requirements of the ROK Army and has also been referred to as the Next Infantry Fighting Vehicle (NIFV), with an estimated 500 units under contract or delivered. 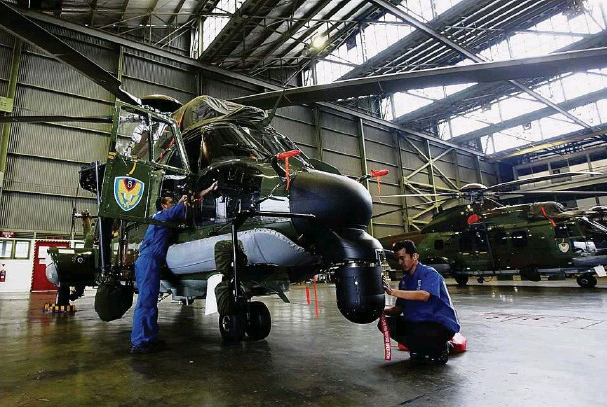 Thailand and Japan are edging closer to finalising a defence trade and technology agreement that could facilitate Japanese defence exports to the Southeast Asian country. 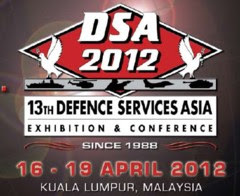 Jane's understands that talks about bilateral defence industrial co-operation are continuing to support potential Japanese sales of equipment including air defence radars and communications systems, as well as major platforms such as the Kawasaki P-1 maritime patrol aircraft and C-2 transport aircraft. 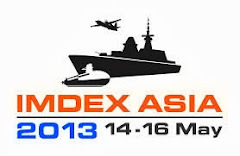 Japan is also understood to be drafting the required legal framework through which Tokyo will allow defence sales. This framework complies with Japan's Three Principles on the Transfer of Defense Equipment and Technology, which replaced the country's military export ban in 2014.